Zorgon concept art by Joey Orosco. 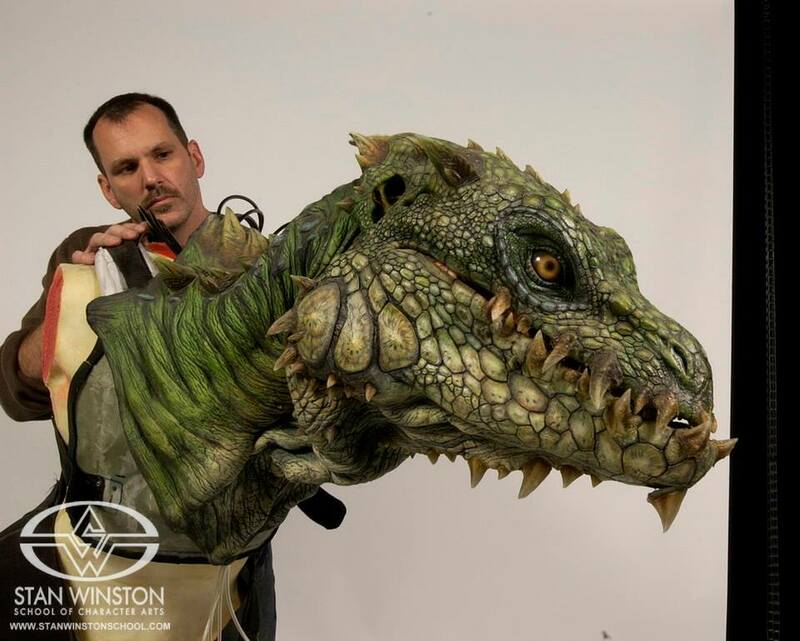 While initial concepts portrayed the creatures as more upright, the final Zorgons are hunched and bulky, with a scaly skin inspired by lizards and iguanas. Their heads house double rows of teeth — with external crocodilian interlocking teeth and internal lizard-like teeth; their necks display an iguana-like dewlap lined with thorns, whereas their eyes were based on eagle eyes. 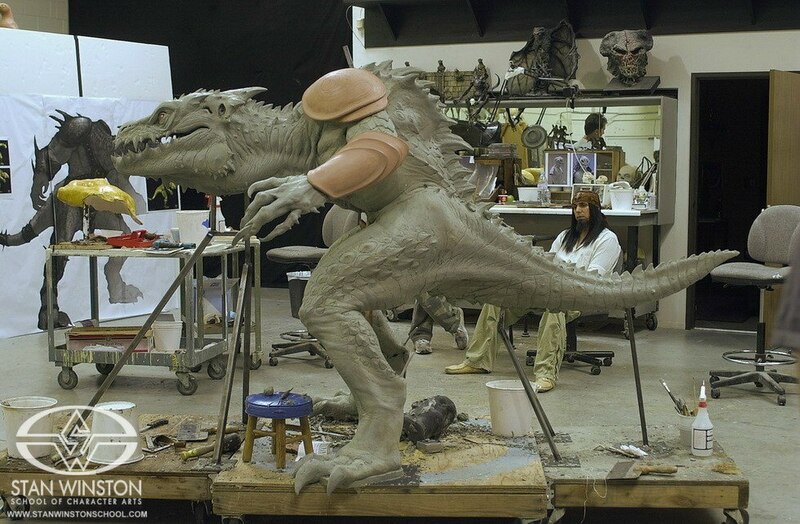 The general humanoid outline of the creatures allowed them to be sculpted and constructed as body suits for performers to wear. The suits were sculpted by Christopher Swift, Hiroshi Katagiri, Joey Orosco, and painted by a team led by Swift. 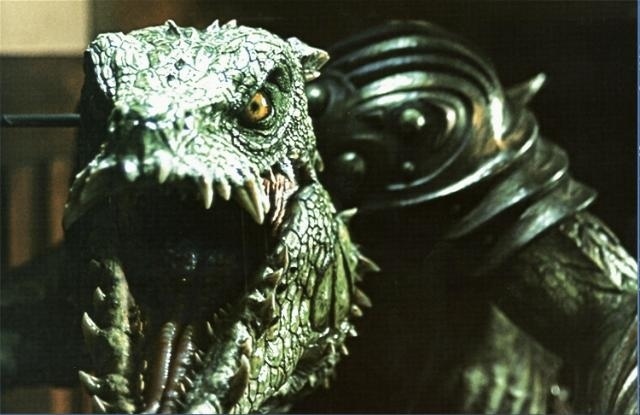 The Zorgons’ skin was cast in foam latex, with fiberglass teeth — whereas their armour was sculpted and die-cast separately from the main body. The complete full-size Zorgon sculpture. The suit performers chosen for the roles were Derek Mears (as the lead Zorgon), Douglas Tait, Joe Bucaro, and Jeff Wolfe. Following a concept devised by Favreau himself, the three suits built by the crew employed a hybrid approach: to accommodate the hunched proportions of the creatures, the performers’ heads and necks protruded from between the Zorgons’ shoulder blades. By wearing a bluescreen hood, the performers’ heads and necks could be erased in post-production. By using this expedient, the fact the Zorgons were performers in suits was better concealed and helped towards their realism. 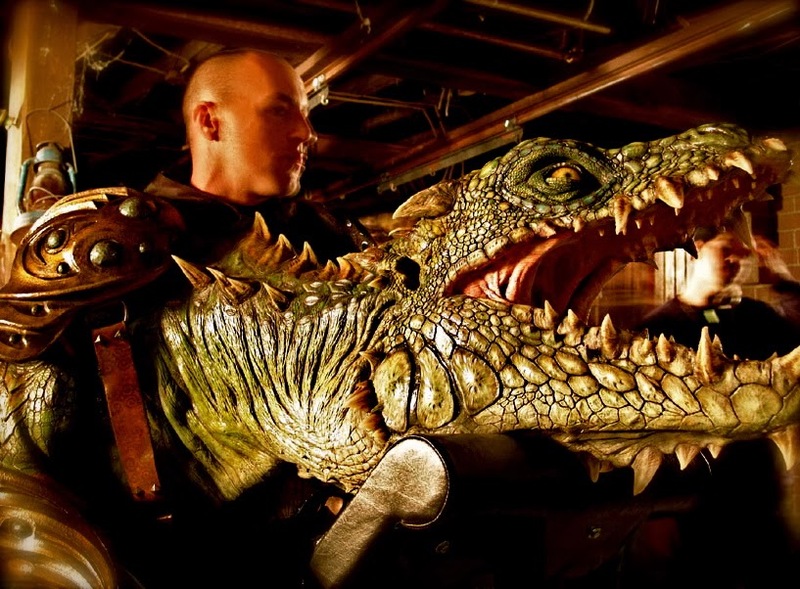 Zorgon heads were built both as stunt, lightweight versions, and as fully-mechanized hero animatronic heads, with organic motion of eyes, jaws, tongue and subtle jugular movement. The heads and necks were mounted on the performers’ chests. Leg extensions allowed portrayal of the creatures’ digitigrade legs, whereas the tails featured internal spring mechanisms that allowed them to shake organically during the performance. The digital enhancements and corrections of the suits were provided by Sony Imageworks. 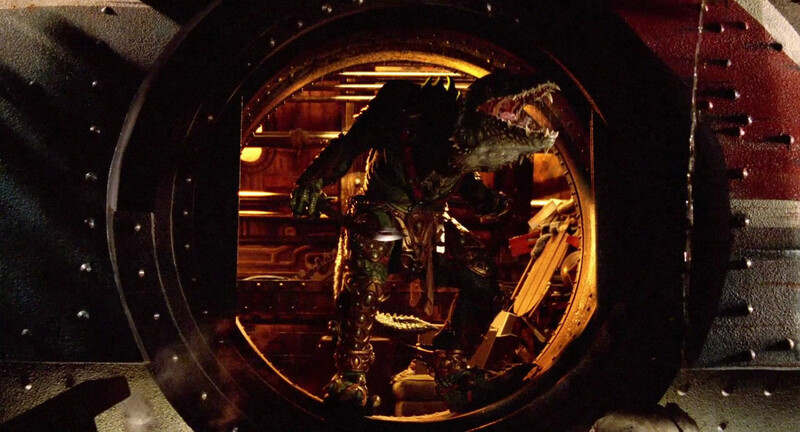 Most of the times the suits were shot in low lighting and angles that allowed most of the area that would be erased in post-production to be obscured either by shadows or by the creatures’ actual heads; in the few shots that needed to show that portion, a digital version of it was devised and rotoscoped in. 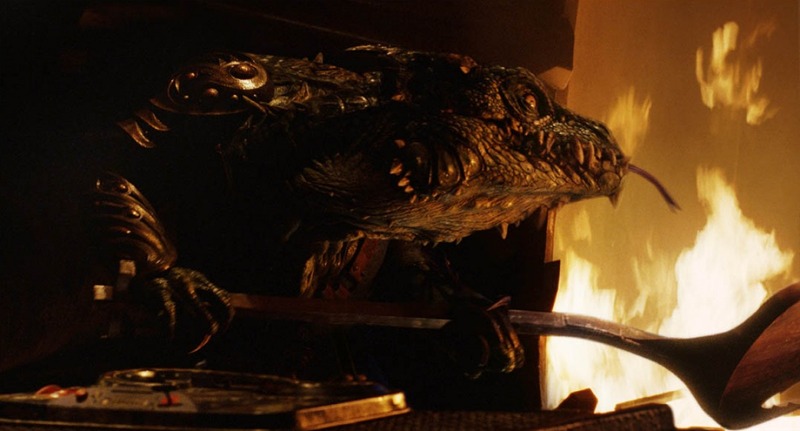 “Sometimes parts of the Zorgon or his armour would be obscured by the head, so they’d have to restore that digitally,” said visual effects supervisor Joe Bauer. Digital eye blinks and nictitating membranes, as well as flickering tongues were added to certain shots. In one shot, a Zorgon reveals a chameleon-like tongue; it was physically built and shot by Winston Studio as reference for the digital team, which then composited a digital tongue into the shot. “There is one tongue shot where the Zorgon flicks his tongue out like a frog catching a fly,” Bauer related. “The tongue flies all the way across the room and hits one of the kids in the back of the head. 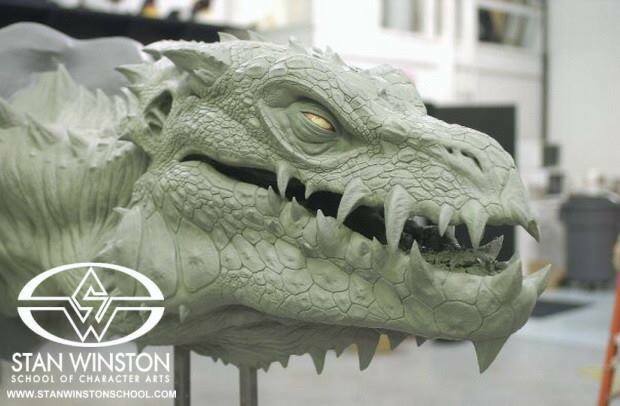 Stan Winston Studio made that as a prop that we shot as reference; then Imageworks replaced it with a CG tongue.” For the shot of the Zorgons fleeing the house, digital duplicates of the suits were animated and composited into the plates by CafeFX. For more pictures of the Zorgons, visit the Monster Gallery. Posted on 29/10/2017, in Movie Monsters and tagged Douglas Tait, Stan Winston, Zathura, Zorgon. Bookmark the permalink. Leave a comment.